The following items were debated, the first one for 90 minutes. 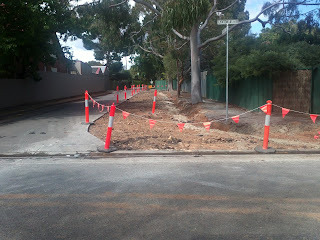 Kelvin Avenue landscaping; The Council voted 6 to 5 for this to proceed to budget deliberation's. Money budgeted for 2011/12 to complete the project have now been spent on other parks. After 4 consultations, including the initial street meeting, the result from the people who have chosen to participate has been about 60% to 40% in favour on the landscaping each time. A petition in September (signed by over 100 Unley rate payers) called for 2 way access to be retained and the landscaping plan achieves this. Much of the debate last night was about the cost of the project and some Councillors thought it did not meet the concept of a pocket park. Fortunately, when we genuinely consult with people and input their ideas into a project the outcome is not always what we envisaged at the start. This, in my opinion, does not make the project lack worth but delivers more closely what people want. 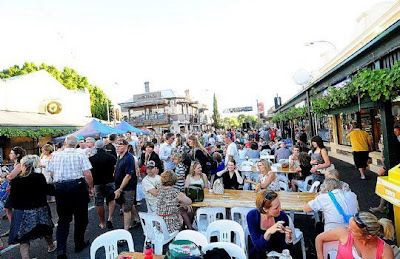 While it probably is no longer a pocket park it ticks all the boxes for a new initiative Council is keen to trial and that is reducing the hard services and reducing traffic flow to enable safer pedestrian and bicycle access in the area. The current concept plan has the approval of DPTI, it will also be larger than all but one pocket park already constructed in Unley. Both Don and I had told residents that we would vote for the project if the majority were in favour and against it if they were not. This is what we did. Regulated Trees-Councillors voted to support the submission that staff had prepared regarding the interim legislation. It has made comment in particular about their impact on solar collection panels and that an urban tree fund needs to be established to collect the monies paid when trees are removed. Inclusion of Local Government in the constitution. The reports called for a fund to be collected to be used to raise awareness of the need for a referendum to this effect. Under current legislative provisions all grants to Council have to be administered by the state government rather than being paid directly to Council. This was supported. Ipads for Councillor Use-some Councillors and staff have been trialling the use of these devices in an effort to reduce the amount of paper used to print agendas for meetings. While I personally am not sure about this, I would like to be able to reduce my reliance on the current printed agendas. This was supported. Kelvin Avenue landscaping; the results from the public consultation have been collated. After all of the submissions were analysed the final outcome was in favour of the landscaping by 60% to 40%. This is the 4th time Council has publicly consulted on this and the outcome has been the same every time. 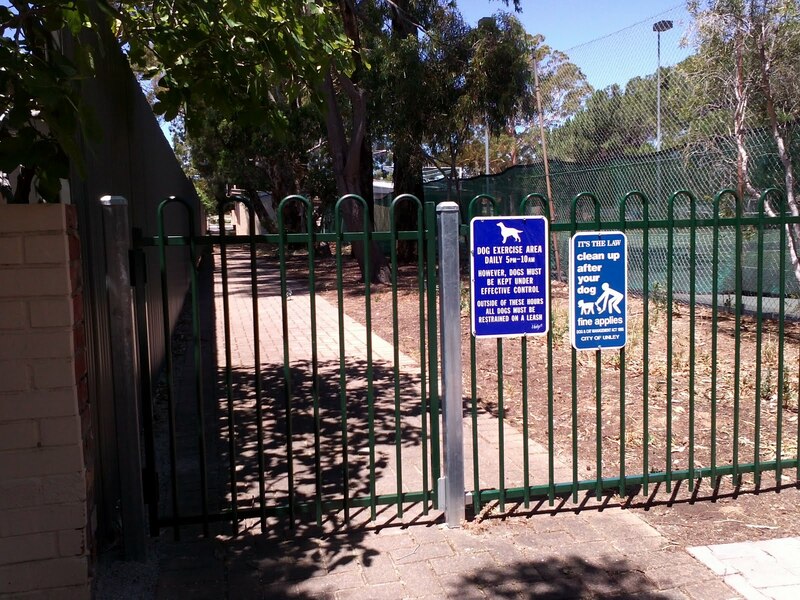 A petition in September (signed by over 100 Unley rate payers) called for 2 way access to be retained and the landscaping plan achieves this with in budget. It is worth noting that some people who were very supportive of the original plan to close the road withdrew their support during this process. Much of the negative feedback related to the state of the footpaths, especially in William St. I have worked tirelessly on getting the footpath programme accelerated. At this time William St is still not on the forward 3 year plan, however, with ward equity I believe that Don and I should be able to achieve this. The current concept plan has the approval of DPTI, it will also be larger than all but one pocket park already constructed in Unley. Regulated Trees-Council has prepared a submission regarding the interim legislation. It has made comment in particular about their impact on solar collection panels and that an urban tree fund needs to be established to collect the monies paid when trees are removed. Inclusion of Local government in the constitution. The reports calls for a fund to be collected raising awareness of the need for a referendum to this effect. Under current legislative provisions all grants to Council have to be administered by the state government rather than being paid directly to Council. Ipads for Councillor Use-some Councillors and staff have been trialling the use of these devices in an effort to reduce the amount of paper used to print agendas for meetings. While I personally am not sure about this, I would like to be able to reduce my reliance on the current printed agendas that get. 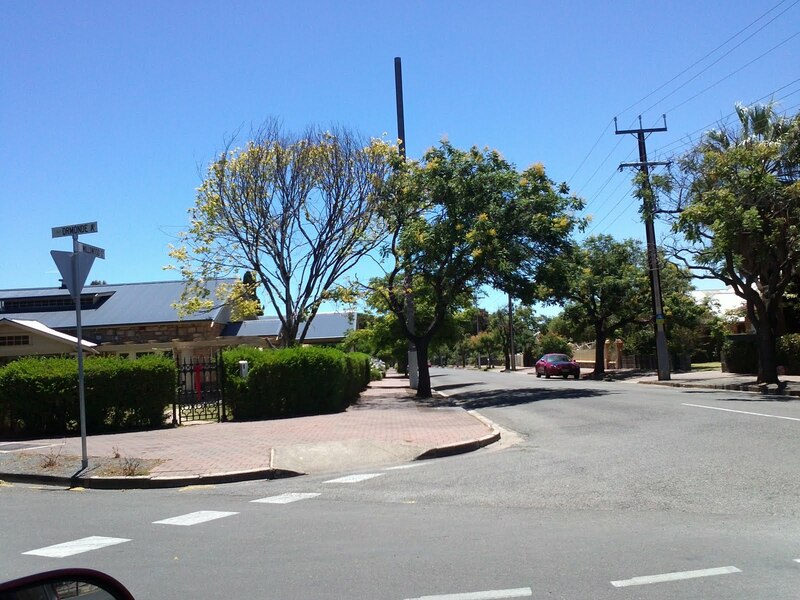 Saved the huge tree on the corner of Northgate Ave and Victoria Ave from almost certain death- this is one of Unley's oldest and largest original river red gums. a quick resoponse has enabled the health of the tree to improve, we will need to watch the tree closely for sometime to see if the initial results can be maintained over the longer term. Organised a citizenship ceremony for Australia Day. These are always enjoyable and positive events. The Mayor has been to court again. He is yet to plead on the majority of charges. It is my understanding , from reading the press releases, that his lawyer is asking for some evidence to be ruled as inadmissible. If accepted this would reduce the prosecutions opportunity to get a conviction. Just wanted to share with you what the Laotian people have to put up with as their footpaths. It is safer to walk in the street than on the footpath in almost every case. Luckily the traffic is not as heavy as some other places that I have traveled. 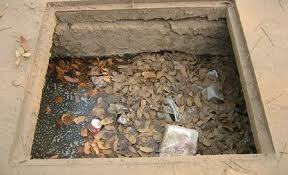 The open sewer that runs along side of the footpath is also interesting. I had the pleasure of meeting the Weeks' family from Millswood in Luang Pragang. I had not met them before but we got to talking and my fridge magnet did the trick! 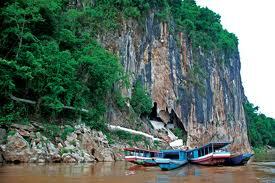 I'm off to Laos for a holiday for 2 weeks. I'll still be in email contact but not phone, my gmail address is probably best if you need any assistance. If I see anything relevant to local government or teaching I'll see if I can blog from there. If you see this vehicle in the street it has a purpose. Fugro PMS have been engaged by Council to survey all of Council's roads and kerbs. This will produce a detailed survey that will inform future road and kerb replacement programmes. The vehicle will be used to collect this information over a two week period commencing in early January. This will allow forward programmes to be available by mid 2012. Concerns have been raised many times about the safety of this corner (Aroha Tce and Leah St). There are currently several recently damaged parking signs that will be replaced shortly. The installation of rubber speed cushions in Leah St should reduce the speed of traffic entering the corner that are south bound. There is already a symbolic "bend" sign, together with an advisory 25km/h speed sign, located on the stobie pole on Leah Street (immediately north of Norman Tce) to alert motorists to slow down to negotiate the bend into Aroha Terrace. Both of theses signs are damaged and will also be replaced. In addition, a hazard board (white chevrons on a black background) will be installed on the southern footpath of Aroha Terrace to alert southbound motorists on Leah Street that they are approaching the T- intersection with Aroha Terrace (as is currently installed opposite East Avenue). Seems Millswood is a great location for growing sunflowers. These are in Millswood Crescent. Complaints about neighbour's property are very common. They include barking dogs, noise emissions (especially from air conditioners), illegal development, vermin, overgrown undergrowth and light spill. Barking dogs; This was talked about in a separate blog. Noise emissions; The most common complaints are about air conditioners. They should not be making noise above 45 decibels at the nearest dwelling. This is a matter for the Environment Protection Authority: Council has little influence other than goodwill. This will give you some information about the development. If you can't find anything at the address then the chances are approval either was not needed or was not obtained. If you have further concerns let me know the address and I will follow this up for you. Council can request that a retrospective application be lodged which will then be judged on it's merits. Vermin; If you are concerned about rats living next door (remember in Adelaide it is said that you are never more than 6 metres from a rat). My class didn't believe this one until one of the kids hit a ceiling tile and the rats moved! - Conduct an inspection of the property. If an insanitary condition exists i.e. putrescible waste, faeces, rubbish etc or if a food source is identified, a letter can be sent to the property owner to clean up or remove the food source. - A fact sheet regarding prevention and control of mice in and around buildings could be attached to the letter for further information. -The fact sheet could also be sent to the complainant as it provides information on how to prevent and control vermin. 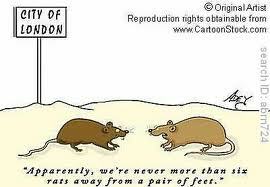 -The complainant can also obtain some rat baits from our council as we supply them or contact a pest controller. Overgrown Undergrowth; Council Rangers make an assessment of the overgrowth on the property in regard to fire risk. If the Council Rangers identify a fire risk then the Council Rangers will write a letter to the property owner to destroy and remove all flammable grass, weeds and other growth upon the land, so as to prevent an unreasonable risk of the outbreak of fire. You need to let Council know where you believe a problem exists. Light spill; This is particularly a nuisance when your residential property abuts a commercial property. The issue of light spill should have been conditioned to the approval for the development. If this is so then it is a matter of compliance. If you let me know where the issue exists I can get a compliance officer to assess the situation and work toward a remedy. What is this thing? Although it looks like a new mobile phone tower it seems it is a fixture that has always been in this location but due to vegetation changes is now more visible. It is an old outlet from the sewer to allow for the dispersal of gas. This is on the corner of Ormonde Ave and Millswood Cres. A gate on the western entrance to Page Park has been installed at last. 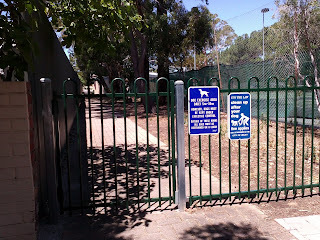 This should now ensure that dogs exercised off leash are safe from accidentally accessing either East Avenue or Oakfield Ave. 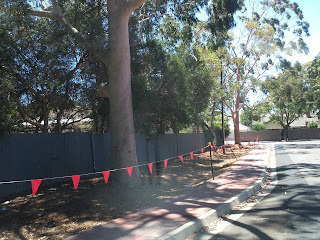 The Spiers St footpaths and landscaping is now nearly complete. The bunting that had been removed has now been replaced as the footpath is deemed to be unsafe until the plantings are complete. The golden rain trees in Ripon Rd have taken a bit of a hit lately. The two at 14 and 16 have been deemed to be 80% dead, one has lost a limb recently. Council's arborist is assessing the trees to see if removal and replacement is necessary. Hard waste collection; the waiting time for this is now at least 8 weeks. So book ahead to get the clean up done. You will be sent a green sticker to indicate that your hard waste has not been dumped. Sustainable garden workshop; At the following link you will find information about a free workshop to be held on Sat 4th February. If you're thinking about being more sustainable in your garden then this might be of interest.